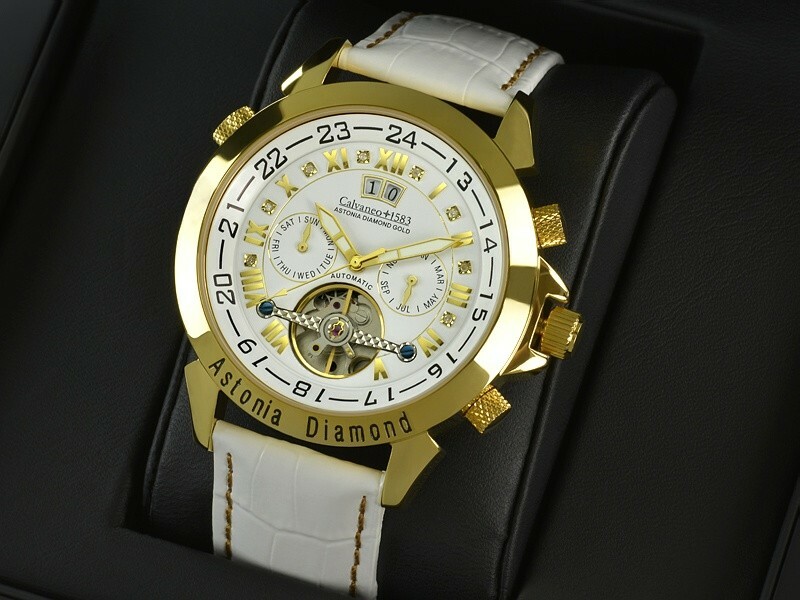 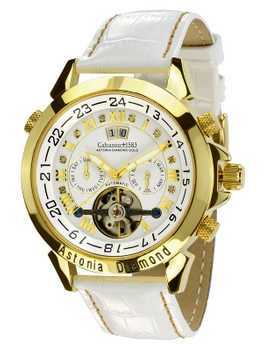 Diamonds occupied automatic dual timer plated, Open Heart, calendars and BigDate. 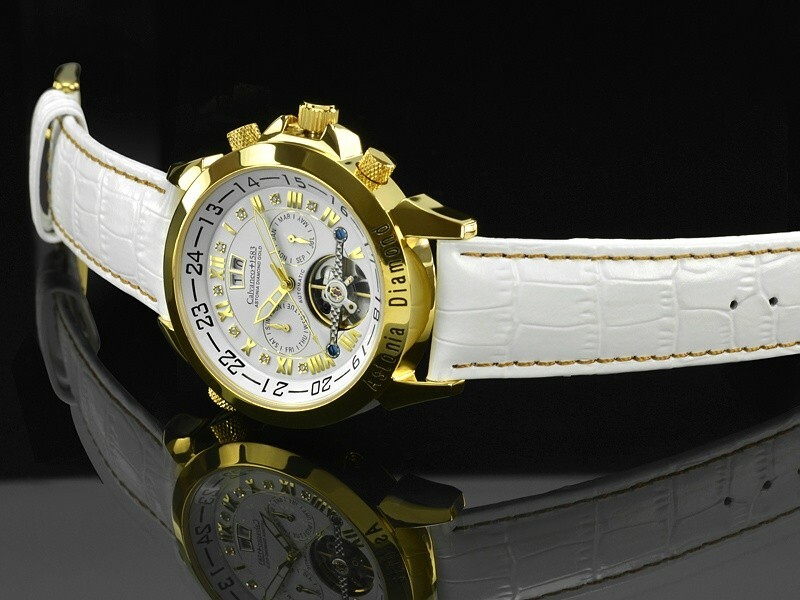 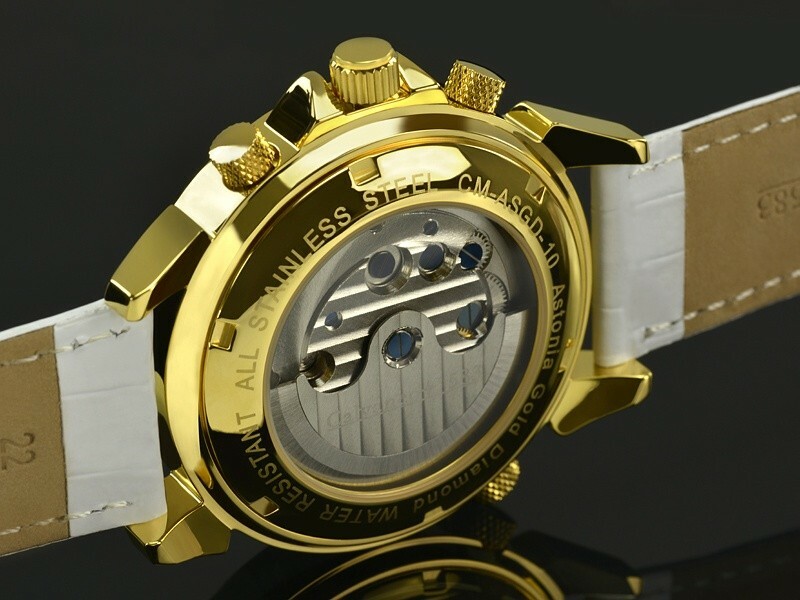 It's finally here - The Astonia is available now occupied as expensive diamonds and finished in yellow gold version. This beautiful automatic complication is simply any captivate and represents the culmination of Astoniaserie of Calvaneo dar. 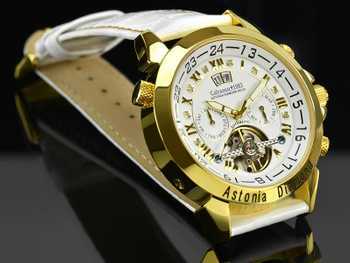 It already looking forward when you wear this clock on your wrist, the curious glances of others will be safe.